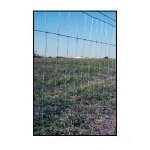 Powers up to 10 acres (1 miles) of multi-wire fence. 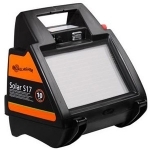 Stored Energy: 0.17 Joules (Approx.). Comfortable carrying handle -- portable. 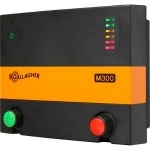 Large terminals enable correct grounding for best Energizer performance. 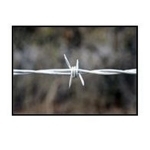 Whether it's our 2-point or 4-point barbed wire, the durability and strength will impress every user of our wire. We have some of the sharpest barbs in the industry, repelling the most stubborn of animals. Our OK Brand Premium Barbed Wire has a Class I coating that meets or exceeds ASTM A-121 specifications with sharp, evenly spaced barbs. 3 Joules of stored energy. Powers up to 85 acres of multi-wire permanent fence.